Any stories you'd like to see us report on? I appreciate any tips, scoops and feedback — simply reply to this email or send me a message at andrew.freedman@axios.com. On the banks of the Danshui River in China, scientists have unearthed a treasure-trove of pristine fossil remnants from one of the most important periods in the history of life on Earth. Why it matters: Understanding the creatures that came into existence at that time will improve scientists' knowledge of where animals alive today fit into the planet's evolutionary history, and it could help researchers better understand some of the most complex organisms, such as humans. What they found: The newly analyzed Qingjiang fossil site yielded 4,351 specimens, and it is expected to contain many more. So far, 53% of them are new to science, according to the study published Thursday in the journal Science. “The authors of this study are going to have a huge job on their hands just describing these alone," Allison Daley of the University of Lausanne, who was not involved in the new research, tells Axios. 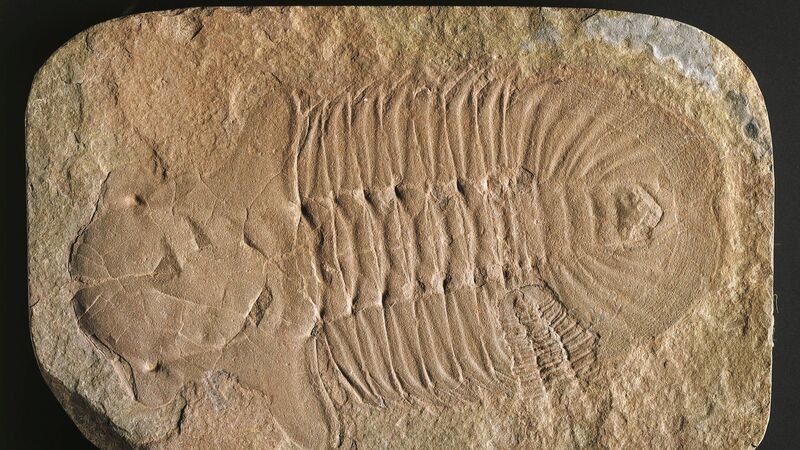 Like other Cambrian fossil sites, the majority of fossils are of soft-bodied creatures, including jellyfish and sea anemones, both of which exist close to the base of the animal family tree. “These fossils are among the best fossils I’ve ever seen in my career," Daley says, noting that fossils at the site include soft tissues, eyes and internal organs. The new life forms that first showed up during the Cambrian explosion include creatures that are related to modern animals, but would be utterly unrecognizable if you came across them today. The site appears to have been located in an area that had environmental conditions that differ from other Cambrian fossil deposit sites. Study co-author Robert Gaines of Pomona College says the Qingjiang site shows that differences among fossil assemblages can be traced to environmental conditions that influence ecosystem structure. One cool thing: Many of the Cambrian creatures were truly bizarre looking. Many had 4 or 5 eyes. Some, like the Hallucigenia, had heads that closely resembled their tails and were characterized by spikes sticking out from their backs. He adds, "[The findings] also remind us of our deep kinship to all living animals." Scientists successfully froze immature testicular tissue and later transplanted it so it could mature and produce sperm that successfully led to a baby in primates — the first time a live birth resulted from a graft of this type of tissue, according to a study published in Science Thursday, Eileen Drage O'Reilly writes. Why it matters: This research is a step toward the goal of young male cancer patients being able to reproduce later in life if they so choose. As cancer treatments improve, more than 80% of U.S. kids who get cancer now survive, but 30% of those will have permanent infertility due to their treatments. Background: While adult males can undergo successful cryopreservation of their sperm before their treatments start, prepubescent males' stem cells haven't yet gained the ability to turn into sperm. However, several centers around the world have started preserving testicular or ovarian tissues of children undergoing chemotherapy or radiation in anticipation that new therapies will be developed. This includes UPMC in Pittsburgh, which is the base of operations for study co-author Kyle Orwig. "In our research laboratory, we are committed to responsibly [developing] the next generation of reproductive therapies that will allow our patients to use their tissues to produce eggs or sperm and have biological children," Orwig tells Axios. What they did: Over a 2-year period, the research team removed and froze testicular tissue from 5 young rhesus macaques and implanted the tissue back into the monkeys once they reached puberty. They also implanted a comparison set of fresh, unfrozen samples, and a few months later they tested for sperm. What they found: Both the fresh and frozen tissue had successfully and safely produced sperm. When the sperm from the frozen tissue were used to fertilize 138 eggs, 41% developed into embryos. The scientists transferred 11 embryos into female macaques, and one became pregnant and had a baby monkey, named Grady. "It was important to demonstrate that this would work with frozen and thawed tissues because young cancer patients may need to keep their tissues in cryostorage for years or even decades before they return to use those tissues to have a child," Orwig says. Go deeper: Read the rest of Eileen's story. NOAA warns of "unprecedented flood season" across U.S.: The flooding in Nebraska is already a billion dollar disaster. The "inland ocean" in the Indian Ocean: Water-borne diseases are a major threat given the lack of clean drinking water in the storm's wake. World Health Organization calls for strong gene editing framework: Top experts warned it would be "irresponsible" to allow this in clinical practice. Record flooding on Plains as seen through before and after photos: The extreme nature of the floods is best seen from high above. Meet Aurora, soon to be the first "exascale" supercomputer in the U.S.: The performance will be one "exaFLOP," which is equal to a quintillion floating point computations per second. People with untreated HIV transmitted 80% of new infections: The vast majority of new HIV infections in the U.S. in 2016 were transmitted from the less than 40% of people with HIV who were not receiving care, the CDC reports. Spinning of the near-Earth asteroid Bennu, as seen from the OSIRIS-REx spacecraft. Image: NASA. The near-Earth asteroid Bennu is spinning faster. The reason is my favorite science acronym of the week: YORP, which stands for the Yarkovsky-O'Keefe-Radzievskii-Paddack effect, after its discoverers. Details: As Bennu rotates through space, the sun heats the pile of boulders, sand and rocks unevenly, causing it to increase its rotation speed slightly. Because of this, the time it takes for the asteroid to complete a rotation around its axis of rotation is decreasing by about 1 second every 100 years, NASA said in a press release. In about 1.5 million years, the asteroid is likely to spin twice as fast as its current rate (assuming it holds together for that long). How it works: When an asteroid is warmed by sunlight, it gives off infrared energy. You can think of the sunny side of the asteroid as the equivalent of giving that portion of the object a tiny booster engine, which fires as it radiates the heat back off into space. According to Daniel Scheeres of the University of Colorado at Boulder, the asteroid Bennu may eventually spin itself apart, due to the tug of war between a gradually accelerating spin rate and its small gravitational field that is greatest around its equator. “So far, that material has been trapped by gravity, but at some point, if the asteroid keeps spinning faster, then you fall off the cliff,” Sheeres said in a press release. Thanks for reading, see you again next Thursday!